Plan Toys Dollhouse are innovative educational toys. 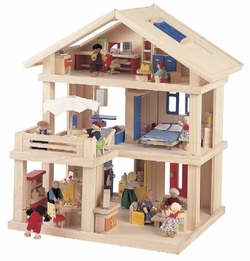 Plan Toys Dollhouse use rubberwood as their main raw material. Winner of many awards, Plan Toys Dollhouse are a great addition to any playroom.